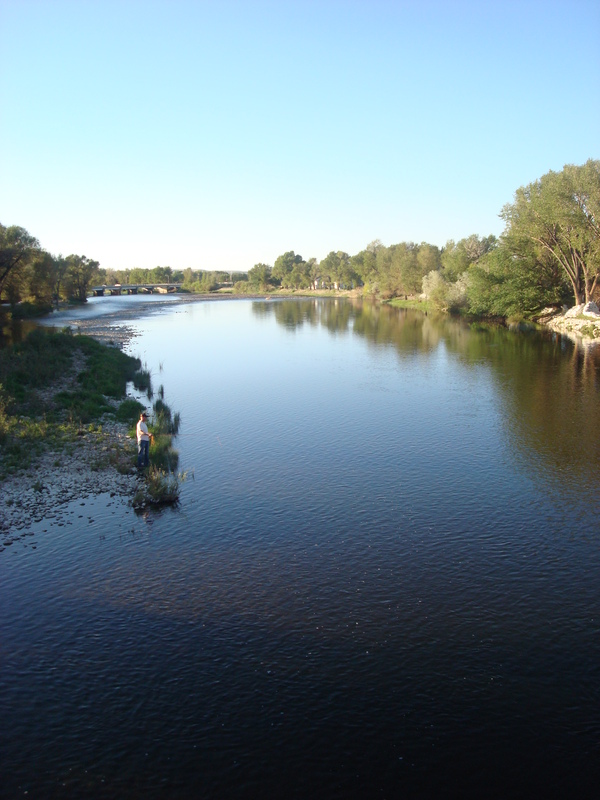 This picture showed the beauty of Wyoming as the river extends our eyes to look past the fisher and into the distance. The dominant creative device in this picture is creating depth. It captures the audience’s attention by allowing themselves to feel the depth and length of the river. It also draws attention to the fisher but not so much as to distract from the rest of the photo. I think our hotel in Saragota represented “typical small town USA.” They did however include a hairdryer but please heed the warning. The dominant creative device is experimentation. 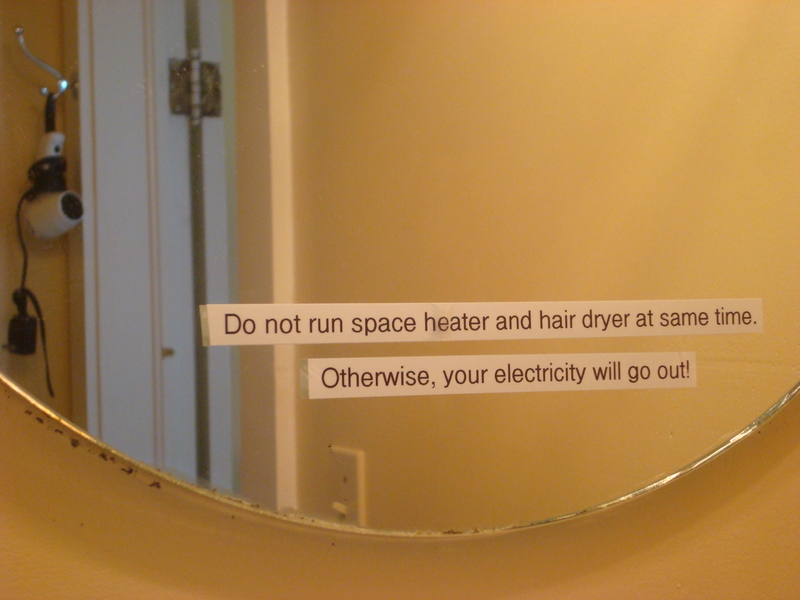 I thought it would be cool to take a picture of the saying attached to the mirror and then the hairdryer in the back of the picture adding to the warning. The focal point is the saying but the background influences the focal point by making the picture more interesting. 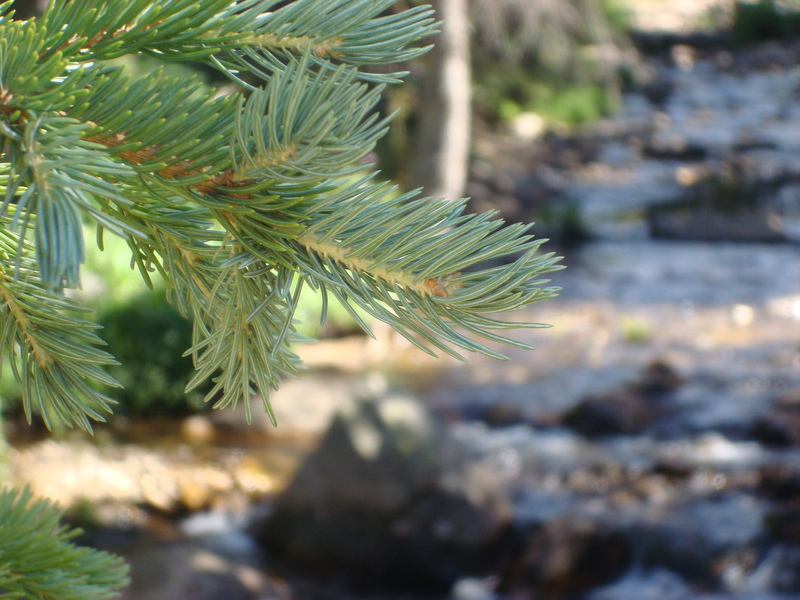 This pine tree branch is in total focus while the river behind it flows past in a blurry movement. So the creative device is focus because the attention is on the needles of the tree versus the river flowing behind it. It captures the audience’s attention because of how clear the focus is, making the focal point stick out against a moving/ unfocused background. You could also use texture in this picture as a creative device because of the clearness of the needles. All of these aspects together make it a pleasing picture to look at. These two houses stuck out as I looked for patterns in Saratoga. The tree right in the middle complemented the pattern nicely. The main creative device in this picture is symmetry and pattern. The focal point becomes the tree in the front but I feel as though the tree doesn’t take away from the pleasing nature of the pattern of houses. I think the colors as well as the pattern make it a pleasing picture to the eyes. The frame of the old-fashioned window really helps emphasize the sign, or the focal point, outside of this restaurant in Saratoga, WY. The main creative device in this photo is framing. I like how the frame keeps the feel of the restaurant because of the older, chipping white wood. I think the audience gets a nice feel for the character of the restaurant through the framing of the sign. 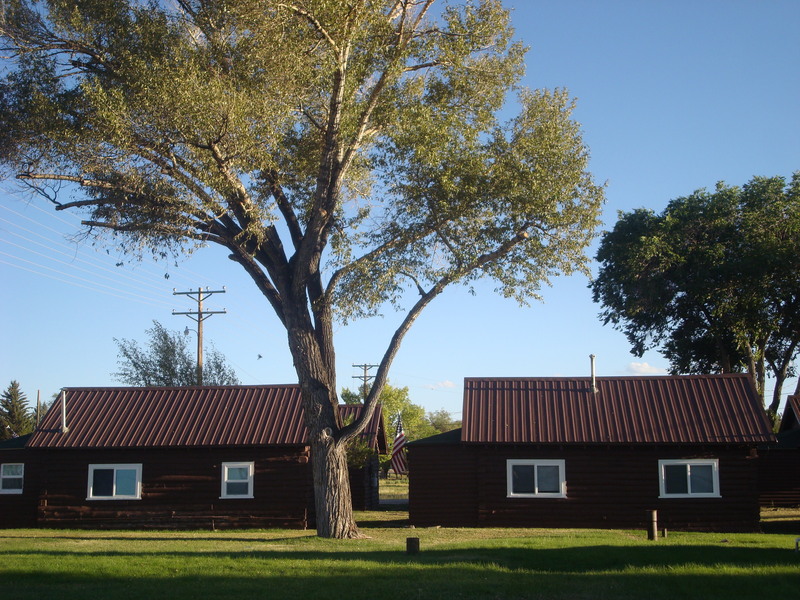 I also think this picture shows the rule of thirds well. Together the creative devices create a pleasing image. I learned that simply taking pictures is easy… in fact I do it all the time! But the problem is getting good pictures! It is amazing how many pictures/shots it took me to get a good picture. It is also amazing how many things there are to photograph, once I start taking pictures I feel like I can’t stop taking pictures for the simple fact that everything can be photographed in a new and creative way. I definitely wish I had a camera that I could control the shutter speed of and I will probably continue to play with my camera’s functions after this weekend. I wish I could have had more time to play with the camera itself. It surprised me that some subjects popped out on me and screamed “take my picture!” And then when I did it didn’t capture the meaning that I intended. But I guess that is all in the learning process of photography! Once you learn some basics of photography, it’s amazing how much you awaken to the beauty and novelty in the world. You’ll continue to find yourself thinking, “Wow, the light is perfect right now,” or “That would be a neat picture, the composition is perfect.” I’m glad you learned that taking pictures is easy, but taking beautiful pictures is very difficult.